Charlie is simply an amazing work of art. From the stunning apartment where Tessa (Parvathy) takes refuge from her interfering family to the many and glorious shades of green of the hill station she visits, the vibrant colours of Kerala radiate from every frame. The lead characters are equally colourful – literally, in their tendency to wear bright Bohemian clothing and figuratively in their offbeat personalities that blend seamlessly into the intriguing yet deceptively simple storyline. The film shows Tessa’s search for Charlie, a man she knows only through other people’s perceptions but someone who may be her soul mate, if only she can find him. Director Martin Prakkat does a fantastic job of keeping the film engaging right to the last frame, and with an excellent cast and beautiful music from Gopi Sunder, Charlie is a great start to a new year of cinema. 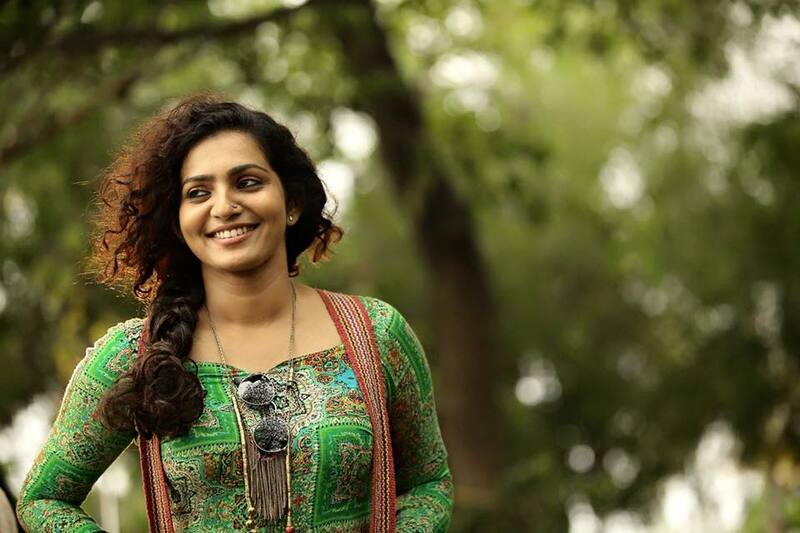 Tessa (Parvathy) is the unconventional daughter in a conventional family who arrives home just in time to celebrate her brother’s engagement but takes off again as soon as her own marriage is discussed. Tessa is part bohemian nonconformist and part spoilt brat as she refuses to contact anyone in her family apart from her grandmother, even going to the extreme of destroying her phone SIM to ensure her privacy. She gives up her job in Bangalore (money doesn’t ever seem to be an issue) and rents an apartment in an old hotel, but when she arrives finds that the previous tenant left most of his belongings behind. Since these include an eclectic mix of furnishings and artwork as well as an accumulation of rubbish, brewing equipment and a goat on the balcony, Tessa is unimpressed by her new surroundings, particularly when strange people appear in her apartment too. However the charm of her musical neighbours and the beauty of her surroundings soon begin to work their magic, persuading Tessa to stay. Unlike Tessa, I totally loved this apartment from the very first moment and cannot wait for the DVD release so that I can pause, rewind and absorb every small detail of the room. Every frame shows yet another fascinating sculpture or curious work of art and it’s somewhere I could happily live – even with the goat on the balcony! Once she deals with the disorder in the room, a photograph and an unexpected phone call kindle Tessa’s interest in the former occupant. When she then finds an unfinished comic strip describing the events of one night, Tessa becomes obsessed with finding the author and discovering what really happened and how the story ends. 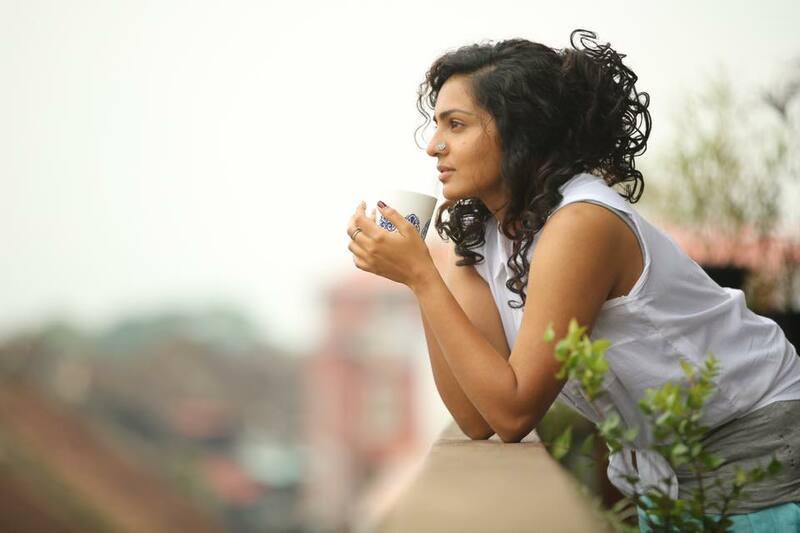 As part of her search she meets Sunikuttan (Soubin Shahir), the burglar who features in the drawings and who helps Tessa connect to other people in Charlie’s life. 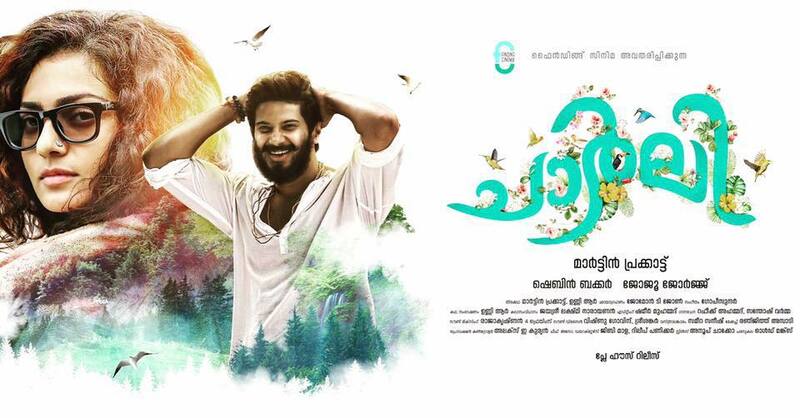 As Tessa begins her search for the elusive Charlie (Dulquer Salmaan), she discovers that he’s a fly-by-night kind of guy who doesn’t seem to take life seriously. From various sources she learns that Charlie appears unexpectedly, interferes in peoples’ lives and then takes off again. The implication is that he’s a free spirit who appears only to do good, except that his actions don’t always have a happy outcome. The more people she meets and the more she finds out about Charlie, the more questions Tessa has, and the more connected she seems to feel to a person she has never met. 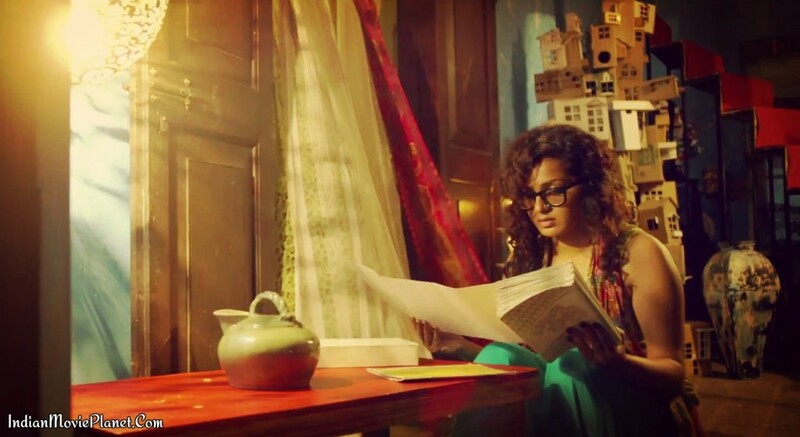 Parvathy is excellent as slightly dippy Tessa, and I love a heroine who wears glasses without losing them at the end in a ‘fashionable make-over’. Although some of her idiosyncrasies don’t quite come off, such as wearing unmatching sandals and her almost paranoid avoidance of her family, mostly her character is sympathetically portrayed. The obsessive nature of Tessa’s search for Charlie does fit in with her personality and her rather haphazard approach to her search also seems plausible. Parvathy strikes a good balance between hippy chick and modern independence and the hints of vulnerability she shows are nicely nuanced to fit with her current lack of direction in life. 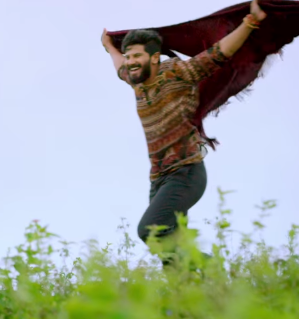 Although Dulquer is excellent in his portrayal of the eccentric Charlie, his character is somewhat less successful due to a tendency to veer a little too far off the rails into borderline deranged rather than keeping to eccentrically bohemian territory. Dulquer also tries for a deep belly laugh which came across rather forced at times and doesn’t gel with the rest of his persona. 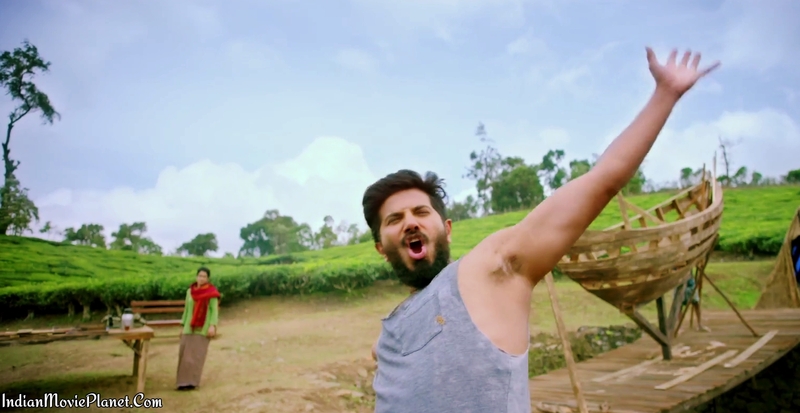 However despite his occasional crazy escapades Charlie is basically a nice guy, and Dulquer gets that feel good aspect of his personality across well. I could have done without the shaggy beard look, but I loved his costumes and Charlie’s generally relaxed and casual approach to life. There is a magic to the character too that is smothered by too much mania, but when writers Unni R and Martin Prakkat allow the mysterious element full rein the effect is enchanting. The rest of the cast are also good in more serious roles that give structure to the story and highlight the unconventionality of Charlie and Tessa just that little bit more. Aparna Gopinath is excellent as Kani, a doctor with a difficult past, giving her character some dignity when faced with Charlie’s more spontaneous decisions. Kani works at a retirement hill station of sorts where Charlie has gathered an eclectic mix of people with the most notable being Kunjappan (Nedumudi Venu) who has his own love story to tell. These diversions into other people’s lives along the way help to define Charlie to Tessa and slowly lead her towards her ultimate goal of finding the man himself. The brief stories are full of emotion too and while each successfully gives another layer to Charlie, they also enhance the film in their own right, adding depth and shade to the screenplay. Jomon John’s cinematography is spectacular and his camera captures the beauty and colour of Kerala, weaving them into the magical storyline. 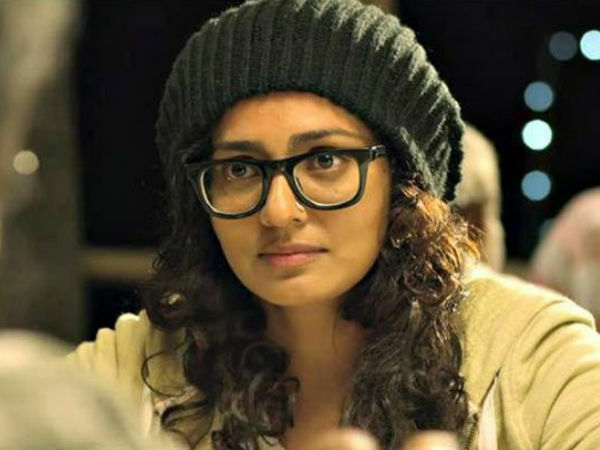 The quirky story is captivating and Parvathy is a delight to watch as she follows in Charlie’s footsteps, always that one step behind. I loved every moment, even the excessively loud craziness of Dulquer’s Charlie and this is a film I will want to watch again and again. Beautiful music, an offbeat story, colourful characters and all the wonderful sets make Charlie well worth catching in the cinema and a film I highly recommend. Don’t miss it! Vikramadithyan released in late July, but luckily for me it was popular enough for our local distributors to arrange a second showing in Melbourne. This was my first Malayalam film at the Monash cinema and I was impressed! Not only did we have numbered seat allocation (rare, unless at one of the big chain cinemas), but the film even had subtitles – a major surprise given that the friendly crowd had all told me there wouldn’t be any! But no surprises as to why this film got a second showing. Vikramadithyan is an all-round family entertainer with a little bit of something for everyone. There is romance, comedy, action and drama in a well-paced screenplay that alternates smoothly between past and present to tell the story of the two protagonists – Vikram and Adithyan. The story starts with Adithyan’s mother Lakshmi (Lena) and Vikram’s father Vasudeva Shenoy (Anoop Menon). Both are police officers, although from the glimpses of Lakshmi at work, she seems to be more of a prison warder to me. Vasudeva has been trying to get his mother to agree to a marriage with Lakshmi for quite some time but for some unexplained reason she doesn’t like the match. Lakshmi wants to marry a police officer, and it seems as if any one will do, since she is happily swept off her feet by another police officer she meets – Kunjunni Menon (Santhosh Keezhattoor). However Kunjunni is a thief and imposter, something which Lakshmi doesn’t realise until too late and the two are already married. Meanwhile Vasudeva marries someone else (Charmila) and both couples have baby boys at the same time – Vikram (Unni Mukundan) and Adithyan (Dulquer Salmaan). Kunjunni’s deceit, Lakshmi’s disappointment and Vasudeva’s jealousy are the basis for the rest of the film and act as a rationale for the events that ensue. The two sons, Vikram and Adithyan, end up at the same school and begin a rivalry that continues throughout their childhood and into their adult lives. They are both friends with Deepika (Namitha Pramod) who often acts as mediator between the two, and in Adithyan’s case attempts to stop him following in his father’s footsteps. Vikram seems to have it all as the beloved only child, and in contrast his path to follow his father into the police force seems as smooth as it is inevitable. It all comes to a head when they both try to join the police force and Adithyan’s comes to have a big impact on his future. It’s a simple story but well told with great performances from the cast and good songs that fit so snugly into the narrative they seem to be part of the dialogue. Jomon John provides some stunning images including a wonderful moment where Adithyan is sitting contemplating his disintegrating life when a squirrel pops up on the rock behind him and appears for a second in the shot. This song also has some beautiful imagery and makes the most of the background scenery too. Unni Mukundan plays it fairly straight as the morally upright son of a policeman and he has plenty of opportunity to flex his muscles and look faintly superior while Adithyan toys with a life of crime. He’s a fairly straightforward character but Unni does manage to give him some light and shade and provides Vikram with more depth than I was initially expecting. Dulquer Salmaan has perhaps an easier job with Adithyan as the characterisation is shaded more grey from the beginning and there is plenty of opportunity to develop the darker side of his character. He still does an excellent job and manages to make Adithyan sympathetic, despite his flaws and tendency to blame his problems on the lack of a father. The other cast members are all just as good, including the child actors who play the roles of young Adithyan, Vikram and Deepika, but Lena and Anoop Menon stand out as star performers in roles that require them to rely mainly on facial expressions and mannerisms. They are both an absolute joy to watch and are the glue that holds the younger actors together. Namitha Pramod’s Deepika doesn’t work quite as well as she seems a little too forgiving and accommodating, and smiles just a fraction too much in some of the more serious moments. However she provides the requisite balance between Vikram and Adithyan and for the most part Namitha does a good job with what she is given to do. Vikramadithyan deals with loyalty and friendship, but also touches on honesty and morality without becoming overly righteous or too preachy. The benefits of hard work and getting a good education are emphasised while the old cliché that blood will tell is aptly refuted. There is nothing outstanding about Vikramadithyan, which is exactly why it works so well. The actors are all well balanced with no-one trying to outdo anyone else, and director Lal Jose makes each scene look effortlessly natural. While the film does occasionally stray into rather idealistic territory, it’s still a good story and one that simply entertains.